Fighting her way from humble beginnings in a foster home to CEO of her own highly respected international company hasn't been easy for Hilary Brand. Even after she seems to have reached the top, troubles abound: her business in China, always fraught with problems, is in peril; and her arch-nemesis Haskins Gould - once her closest business associate, but now her greatest enemy - is gaining traction in his unceasing determination to destroy all she has created. Hilary's two daughters - unhappy trophy wife Jennifer and brilliant but troubled journalist Sara - also traverse the joys and terrors of love as they try to tread their own paths in the shadow of such a powerful woman. 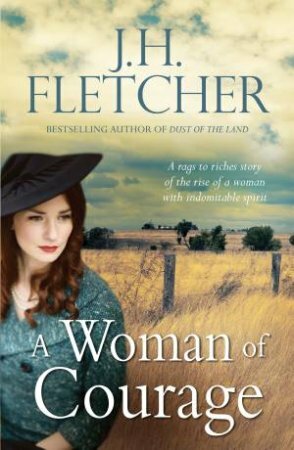 From the vastness of Western Australia to glittering Sydney and the teeming streets of Hong Kong and Singapore, this is a story of contrasting loves and of a woman of fierce determination... a woman of courage.